This is a step-by-step guide to your first 30 Days with mesothelioma. These tips and advice come straight from mesothelioma survivors! Why? 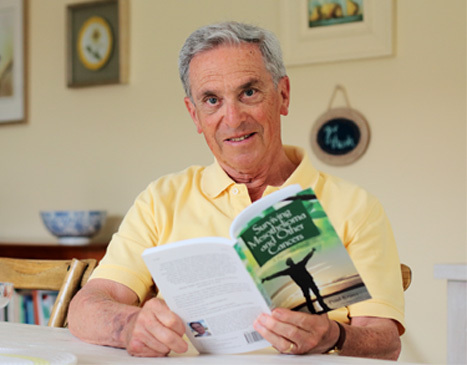 Because this book is written by the longest living mesothelioma survivor in the world. He has survived mesothelioma for over 20 years now and is still alive today. In the book he explains, in his own words, exactly what he did to find his own path back to health. How? You can get a free copy over-nighted to your address by clicking here. Please note that there are very limited copies available. Why? Because mesothelioma is a rare disease and it can be difficult to diagnose. If the diagnosis is wrong then the treatment will be wrong. It’s standard to send out the pathology material for a second opinion to make sure the second hospital agrees with the diagnosis from the first hospital. How? Simply ask the doctor who is currently helping you whether your pathology was sent out for a second opinion. If the answer is yes you can ask what the opinion was. If the answer is no, you should ask why not. Why? Of all the standard treatments for mesothelioma (surgery, chemotherapy, radiation), surgery has the best track record for extending life. But, surgery for mesothelioma (P/D or EPP for pleural mesothelioma, or HIPEC for peritoneal mesothelioma) requires experience, skills, and expertise. Some surgeons specialize in these procedures and do many every month. But, others do not. It’s important to find the most experienced surgeons possible. Your life may depend on it. How? Check out this list here. Also, when you request your free copy of Paul Kraus’ book “Surviving Mesothelioma” you’ll get an updated list of the top mesothelioma surgeons in the country and those closest to you. Why? There is only one standard chemotherapy treatment for mesothelioma. This one-size-fits-all chemo approach dramatically helps only a small percentage of mesothelioma patients. Because most cancer patients are not helped a lot by chemo, some doctors have invented a technique called human tumor assays. These assays are very simple. They take a part of a patient’s tumor and test 20, 30, 40 or even 50 or more different chemotherapy drugs or combinations to see which ones work best on an individual patient’s cancer. The tests are done in test tubes not in the patient’s body. Why? Many long term mesothelioma survivors have used alternative and integrative treatments that were in addition to or instead of the standard treatments. These additional treatments may include: cannabis oil, vitamin therapies (like intravenous Vitamin C), herbal medicines, dietary approaches, and mind-body medicine. These therapies are NOT FDA approved, but many patients find experienced clinicians who can provide them. How? Paul Kraus’ book “Surviving Mesothelioma and Other Cancers: A Patient’s Guide” provides a great place to start learning about some of these modalities. Get your free copy here. 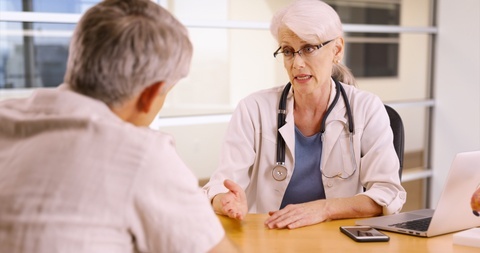 Then find a licensed clinician who can guide you and make sure you discuss it with your doctors. Why? Keytruda is not chemotherapy, it is a new immunotherapy drug that works with your immune system to help fight certain cancers. It has already shown promising results for mesothelioma even though it is not yet FDA approved for this cancer. How? Just ask your doctor. If he or she agrees it could be a benefit, they may be able to help you get it. Why? Positive thinking alone probably can’t cure anything, especially cancer. However, positive emotions reduce fear and less fear is better for the immune system. Other people have survived mesothelioma, so why can’t you? How? Explore meditation and other mind-body techniques designed to relax you and reduce stress. It can only help you heal. Paul Kraus’ book has a whole chapter on this. Get it here. Remember… Every second matters, don’t wait. Take positive steps forward to finding your path to health every day.